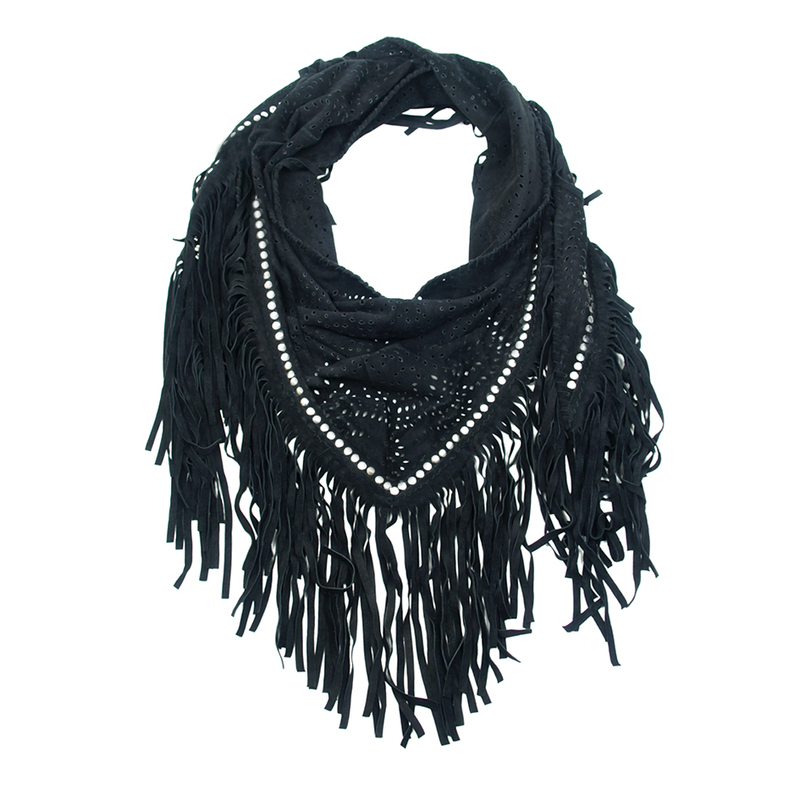 Add a boho chic touch with a sparkle to your wardrobe with this casual luxe genuine suede shawl in jetblack. 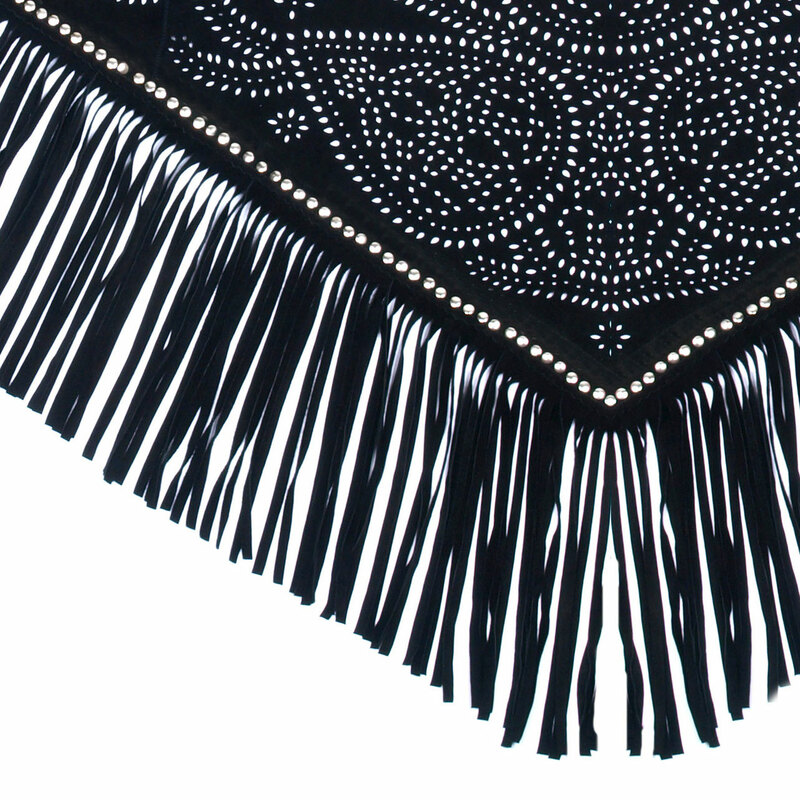 Boasting handcut perforations, flowy fringes and sparkling silver studs, this eye catcher will make any outfit shine. 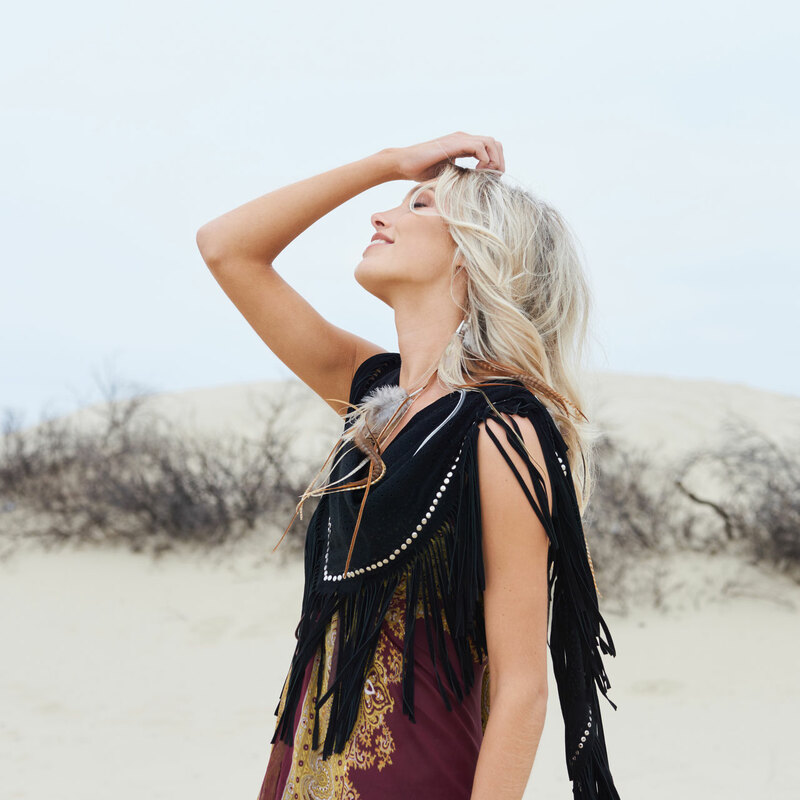 Wear it open in the front, or knotted on your shoulders or around the waist for an effortless boho chic look on jeans or a dress.